For other people named Douglas Alexander, see Douglas Alexander (disambiguation). Douglas Garven Alexander (born 26 October 1967) is a British Labour politician who was the Shadow Foreign Secretary and former Member of Parliament (MP) for Paisley and Renfrewshire South. Alexander was first elected to Parliament in the Paisley South by-election in 1997. In 2003, he became a minister, and held several positions including Minister of State for Europe from 2005-06. At the 2005 election, Alexander's constituency was abolished, and he was subsequently elected to represent its successor seat of Paisley and Renfrewshire South. In 2006 he was appointed to the Cabinet by Tony Blair, becoming the Secretary of State for Scotland and the Secretary of State for Transport. When Gordon Brown replaced Blair as Prime Minister in 2007, Alexander became the Secretary of State for International Development. In 2010, following the election of Ed Miliband as Labour Leader, Alexander was elected to the Shadow Cabinet and was made the Shadow Secretary of State for Work and Pensions. He held this position until a 2011 reshuffle, when he was appointed Shadow Foreign Secretary. In October 2013, he was appointed by Miliband as the party's Chair of General Election Strategy. In 2015, he failed to be re-elected to the Paisley and Renfrewshire South seat in the House of Commons when it was won by Mhairi Black of the Scottish National Party. Alexander was born in Glasgow, the son of a Church of Scotland minister, Douglas N. Alexander, and a doctor. Much of his childhood was spent in Bishopton in Renfrewshire. A prominent member of the 1st Bishopton Company of the Boys Brigade, he played bugle in the Company's marching band helping them win the Scottish BB Marching Band Championship in 1981. Alexander attended Park Mains High School in Erskine, also in Renfrewshire, from where he joined the Labour Party as a schoolboy in 1982. In 1984 he won a Scottish scholarship to attend Lester B. Pearson United World College of the Pacific in Canada, where he gained the International Baccalaureate Diploma, returning to Scotland to study politics and modern history at the University of Edinburgh. He spent 1988/89, the third of his four undergraduate years, at the University of Pennsylvania as part of the exchange scheme between Edinburgh and Penn. Whilst studying in America, he worked for Michael Dukakis during the 1988 American presidential election campaign, and he also worked for a Democratic senator in Washington DC. He graduated from Edinburgh with a first-class degree in 1990. His sister, Wendy Alexander, was also involved in politics as an MSP until 2011 and briefly as the Leader of the Labour Party in the Scottish Parliament until she resigned in 2008. His father, a Church of Scotland minister, conducted the funeral of the inaugural First Minister of Scotland, Donald Dewar at Glasgow Cathedral in 2000. He is married to Jacqueline Christian and they have two children. He is the great-nephew of Cecil Frances Alexander. In 1990 he worked as a speech-writer and parliamentary researcher for Shadow Trade and Industry Secretary, Gordon Brown. He returned to Edinburgh to study for an LL.B. at Edinburgh University, where he won the Novice Moot Trophy and graduated with Distinction in 1993. He then qualified as a solicitor. On qualifying as a solicitor he worked for a firm of solicitors in Edinburgh, which he left after six months. Whilst still studying in 1995 and with friends in the local Constituency Labour Party and the backing of his mentor shadow chancellor Gordon Brown, he was selected to be the Scottish Labour Party candidate at the Perth and Kinross by-election caused by the death of the Conservative MP Nicholas Fairbairn. The by-election came in the middle of the John Major government and was won by Roseanna Cunningham of the Scottish National Party, but Alexander received enough votes to push the Conservative candidate into third place. This brought him to the attention of party leader Tony Blair, and shortly after his defeat by the SNP he was welcomed at the Scottish Labour Party Conference in the Eden Court Theatre in Inverness where he spoke immediately before Blair in the critical debate on abolition of Clause 4.4 of the Labour Party Constitution. When the Perth and Kinross constituency was abolished, Alexander was chosen to be the Labour candidate in the newly drawn Perth constituency at the 1997 general election. This time, he was pushed into third place behind the SNP and the Conservatives. On 28 July 1997, Gordon McMaster, the Labour Member of Parliament for Paisley South, committed suicide. Alexander, who grew up in Renfrewshire, was chosen to contest the by-election and he was duly elected to serve as the Member of Parliament for Paisley South on 6 November 1997. He lost his seat to 20-year-old Mhairi Black of the Scottish National Party at the General Election on 8 May 2015. Alexander took a successful co-ordinating role in his party's campaign for the 2001 general election. He was rewarded by Tony Blair and was appointed as the Minister of State with responsibility for "e-commerce and competitiveness" at the Department of Trade and Industry in June 2001. In May 2002, Alexander was transferred to the Cabinet Office as Minister of State. 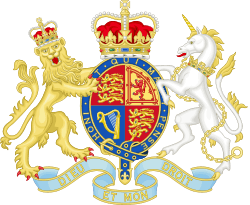 In June 2003 Alexander was promoted to Minister for the Cabinet Office and Chancellor of the Duchy of Lancaster, and in September 2004 was moved to Minister of State for Trade at both the Department of Trade and Industry and the Foreign and Commonwealth Office. After the 2005 general election, he was given the role of Minister of State for Europe, part of the Foreign Office, with special provision to attend Cabinet. On 7 June 2005, he was made a Member of the Privy Council. On 5 May 2006 he was appointed Secretary of State for Transport and, simultaneously, Secretary of State for Scotland, replacing Alistair Darling. During his time as Scottish Secretary, Alexander faced calls for his resignation over his role in overseeing the running of the 2007 Scottish Parliament election, when over 150,000 votes were discounted. An independent inquiry, chaired by Canadian election official Ron Gould, found that Douglas Alexander's "self-interested" moves to change electoral rules in Labour's favour led to the debacle that saw nearly 150,000 votes wasted. 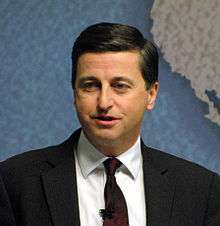 Following Gordon Brown's appointment as Prime Minister on 27 June 2007, he appointed Douglas Alexander as Secretary of State for International Development. In September 2012 Alexander gave an interview to the Evening Standard newspaper criticising Ken Livingstone's election campaign saying Livingstone paid the "deserved price" when he lost the London mayoral election. Livingstone hit back on Twitter, saying the Shadow Foreign Secretary "represents a failed New Labour project that lost millions of votes". He also invited him to discuss the issue on his radio show. On 17 January 2013 in a speech to the London-based foreign policy think-tank Chatham House, Alexander outlined his support for the UK to remain a full member state of the European Union but would not support a federal United States of Europe. It was announced in March 2016 that Alexander had joined law firm Pinsent Masons as a "strategic advisor". ↑ "BBC Two - The Truth About Christmas Carols". BBC. ↑ "No. 10 – Douglas Alexander MP". Archived from the original on 9 May 2005. ↑ "Douglas Alexander in dock over election fiasco". The Daily Telegraph. 24 October 2007. Retrieved 20 February 2015. ↑ Murphy, Joe (28 September 2012). "Douglas Alexander: I blame Ken for losing to Boris. He paid a deserved price for errors he made". London Evening Standard. Retrieved 22 October 2012. ↑ "Alexander sparks Ken row". PoliticsHome. London: Dods Parliamentary Communications. Retrieved 22 October 2012. ↑ Jonathon Manning (1 March 2016). "Pinsents appoints former Labour MP Douglas Alexander as Brexit adviser". The Lawyer. Retrieved 13 October 2016.